Zambaloo Chalet ,1 bedroom villa. 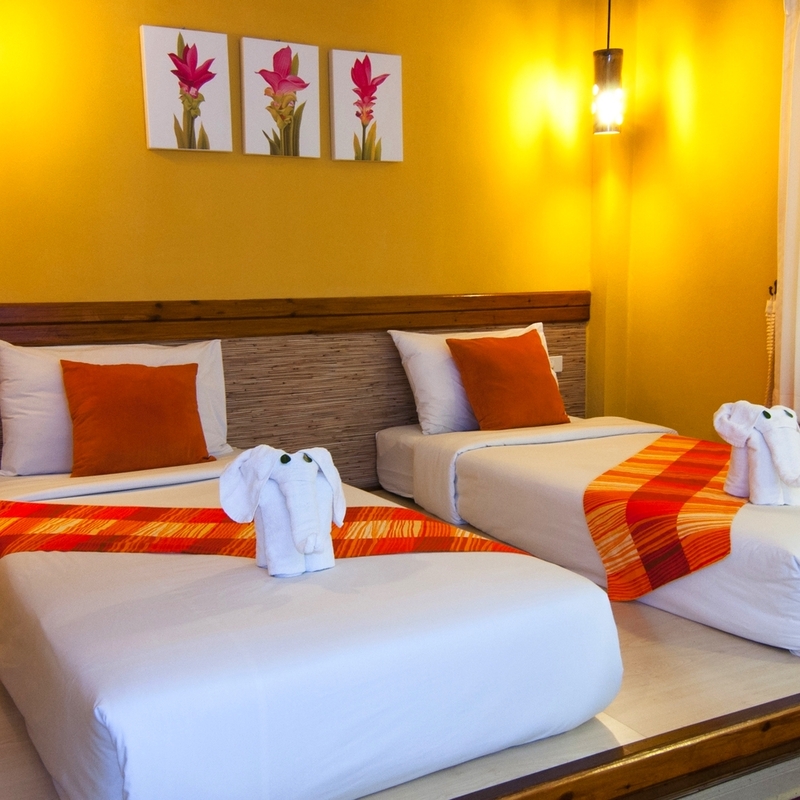 Surrounded by beautiful tropical plants, these rooms have bright relaxing colors and the facilities will leave you feeling relaxed and refreshed. Maximum 3 persons (1 extra bed requested). Size approximately 22.50 Sq.M. 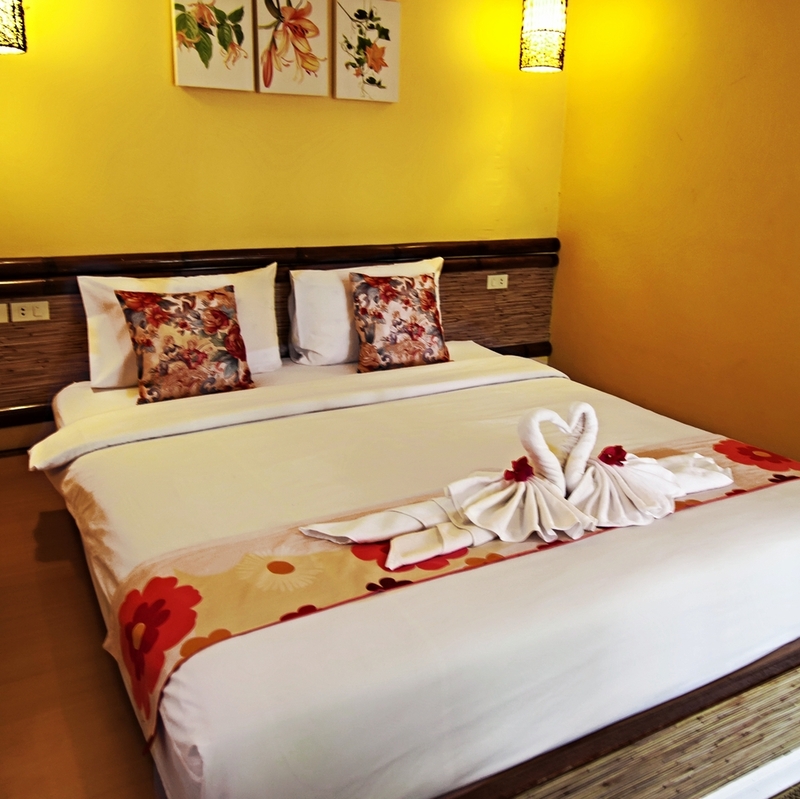 Uga Group 12, 2 connectible bedrooms for maximum 6 persons each, 4 bathrooms with shower ensuited. A fine retreat for larger group of family, friends, youth camp, team buildings to spend a night together. Size approximately 68 Sq.M. Uga Group 18, Nestled among nature, home for a group of 18-24 persons. 3 bedrooms with 4 bathrooms and showers and kitchen area, suitable for family, friends, youth camp, team buildings who want to retreat from busy life style, create memorable time and enjoy a little cooking time together. Size approximately 126 Sq.M. Uga Group 24, Home for a group of maximum 24 persons with one large bedrooms and 6 bathrooms with shower ensuite. Great for big families, friends, youth camp, team buildings and a little seminar. This room is multi function design and can be arrange as a seminar room for 20-25 persons, fully equip with conference setting. Size approximately 134.30 Sq.M. Grand Amarillow House (The yellow house or “Baan Leaung”) Located on the waterfront of the Kek river. 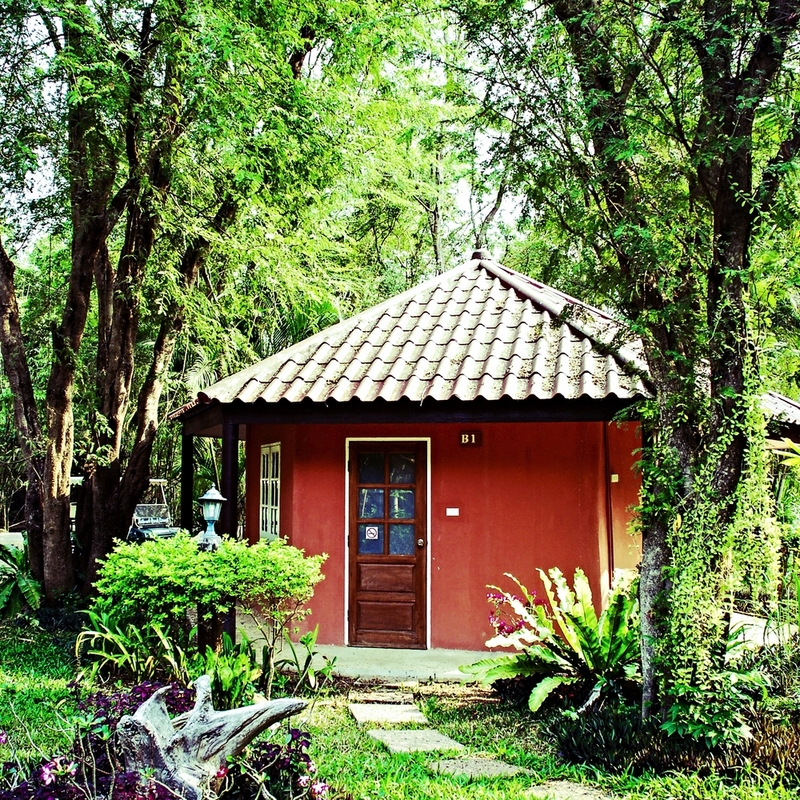 Home for a group of up to 20 persons,set within landscaped gardens giving a refreshing feel of nature. This home is comfortable, fully equipped with many rooms and a large bathroom. 2 bedrooms, max. 4 persons and 16 persons, 4 bathrooms with shower en-suite and 1 bathroom just a step outside. Size approx.180 Sq.M include balcony or terrace area. The house is perfect for a barbecue party and karaoke while enjoy the river's breeze, a place to create memorable times with family and friends.